Legendary Soul Man Sam Moore Featured On New “Crossfire” Single, Released By Stevie Ray Vaughan Bandmate and Fellow Rock & Roll Hall of Famer Reese Wynans feat. Joe Bonamassa | 2911 Enterprises, Inc.
Moore joins an All-Star guest lineup including Bonamassa, Vince Gill, Jack Pearson (Allman Brothers), Kenny Wayne Shepherd, Keb’ Mo’, Warren Haynes, Jimmy Hall (Wet Willie), along with Chris Layton and Tommy Shannon of Double Trouble, and many more! 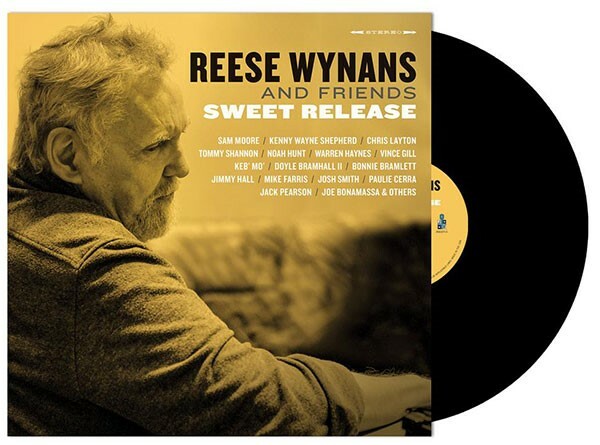 Nashville, Tenn. – The Legendary Soul Man Sam Moore was announced as a guest collaborator on Rock & Roll Hall of Fame member, and world-renowned Nashville-based keyboardist, Reese Wynans first-ever solo album, Sweet Release. Moore makes his guest appearance on the album’s first single, “Crossfire,” providing his signature vocals on the classic song, once sung by Stevie Ray Vaughan. To celebrate the announcement, the first single “Crossfire“, a tribute to the legacy of Stevie Ray Vaughan and Wynans’ work with Double Trouble, is available as a free song download on Reese and Joe’s websites (reesewynans.com and jbonamassa.com respectively). Sweet Release is a collection of songs honoring a paramount selection of blues-rock legends. The long anticipated album comes following a career that’s spanned over 50 years and literally hundreds of historical collaborations. Sweet Release also serves as Joe Bonamassa’s inaugural credit as a producer. Bonamassa has long been a fan of Wynans’ work, urging him to create a solo album and championing the project as producer. The album is available for pre-order on reesewynans.com, jbonamassa.com and available on all major music services and will be in stores on March 1st. Watch Sweet Release behind-the-scenes footage at youtu.be/Fktau7wDScc. The first 20-plus years of Sam Moore’s sensational career began by lending his unmistakable lead vocals to soul duo Sam & Dave. The 1967 smash hit “Soul Man,” catapulted the duo’s career up the Pop and R&B Charts, selling more than 10 million records worldwide and ultimately an induction into the Rock & Roll Hall of Fame. Moore also scored critical acclaim and numerous awards as a solo artist for more than 35 years, performing at some of the world’s most iconic and notable venues, including Carnegie Hall, Lincoln Center, The Hollywood Bowl, The Ryman Auditorium, The Grand Ole Opry, Royal Albert Hall, Nippon Budokan, The John F. Kennedy Center, The White House, Lincoln Memorial and Washington Monument. Moore has recently joined Florida International University (FIU) as an Artist in Residence for their Center of Humanities to build a program around the artist histories that shaped our culture through music.